As I said in my last blog, girls can grill. Very well. With style and creativity. Besides amazing flavors, grilling does not heat up the kitchen or leave tons of dishes behind. How about trying easy meal of grilled chicken with roasted carrots on the grill? Here’s how! First, prepare your grill. I fired mine up and then gave it a good cleaning with a wire brush. Carrots, like most root vegetables, take longer to cook than chicken so prepare those first. I had 2 pounds of sweet baby carrots to cook. I first spread them out on paper towels to dry a bit. Less moisture means the carrots will cook up with more sizzle. After your carrots are nice and dry, give them a drizzle of good olive oil and a dusting of salt and pepper. Making foil packets for the carrots means easy cooking and no dishes. I made 2 packets so the carrots wouldn’t be crowded. You want to seal your packets up good and tight. After the carrots are seasoned just right and sealed up, put them on the grill. Make sure the grill is preheated for around 20 minutes at about 350 degrees. Put those carrots on and forget about them while you tend to the chicken. It’s time for a homemade marinade to help make the chicken more savory and tender. Creating a marinade at home is so easy, and a great way to control salt and sugar. Store bought marinades are loaded with hidden ingredients that aren’t healthy. Doing this yourself is a great way to customize the flavors of your food and keep it clean. Ready to try a simple marinade? Here we go. Toss together dijon mustard, olive oil, a bit of rosemary, sea salt, freshly ground red and black pepper, and the juice from one grapefruit. Grate some of that lovely grapefruit rind into the marinade with a handy zester (a kitchen tool that is indispensable). Adding some rind increases intense flavor and beneficial oils to the marinade. Bonus-not only will the chicken be delectable, the kitchen will be bursting with crisp citrus fragrance after grating some of that beautiful rind. Add the ingredients for the marinade to a large zip lock bag, toss the chicken in, zip it up and put this in the fridge for a bit. Because of the acid in the grapefruit juice, the marinade can easily so it’s job in about 20 minutes. The carrots have had a head start, and now it’s time for the chicken to go onto the grill. The chicken needs the hottest part of the grill so the carrots can go up one level. Close the lid and let the chicken cook. Turn them after about 10 minutes, close the lid again, and let them finish. The chicken is almost done. Time for a peek at those carrots. A little look lets us know that they had cooked up beautifully and had a tinge of sweet brown color on them. A little taste was a delicious reward! Dinner was almost ready. I brought everything inside. The chicken was on a plate with a few pats of butter on the top for perfect resting. The butter would assure that the finished chicken would be flavorful and moist. I covered the chicken with foil and let it rest and relax a bit. Leftover quinoa quickly reheated easily rounded out the meal quite well. My education and career trajectory is in clinical nutrition, dietary management, and healthcare business strategy, but cooking is definitely my passion. I love the creativity of decadent ingredients, plate presentations, fresh flavors, and lingering over home cooked meals filled with spirited conversation. My enthusiasm for food, at times, mingles with my love of writing, and that dwells in the core of my spirit. I have several outlets to feed that need, and at one point I spent time writing for a food and wine magazine. Sometimes my editor (and friend) Katherine would come over to chat about upcoming assignments. I was not inconvenienced by having to answer the door when Katherine stopped by. Always welcome and with a quick “hello I’m here” knock, in she came. 1. fond of or adapted to luxury or indulgence in sensual pleasures; having luxurious tastes or habits, especially in eating. Yup, that describes me. I am an epicurean. But what was I cooking on that cool fall afternoon that elicited such a reaction from Katherine? 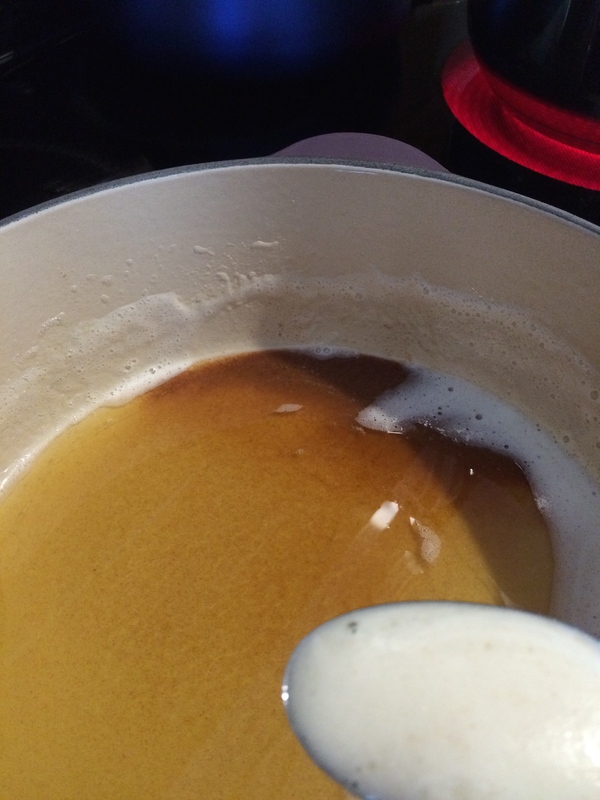 I was teaching myself how to make a brown butter sauce. 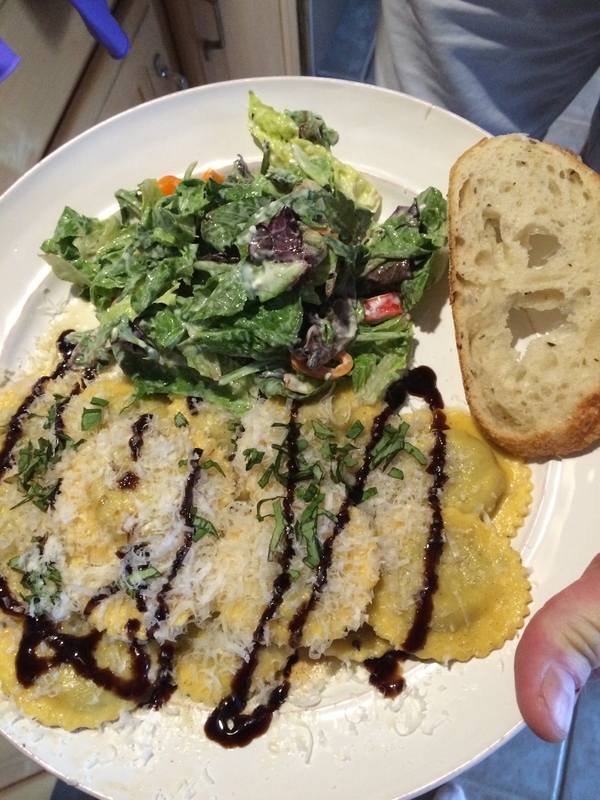 Dinner that evening included wild mushroom ravioli, and I had decided to stretch my skills by learning a new sauce. 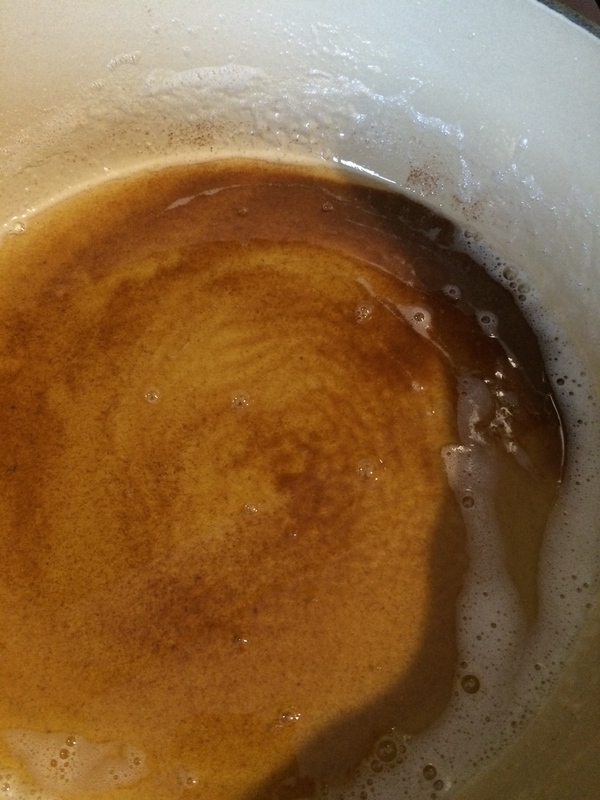 Want to know how to make a brown butter sauce? You’ll be happy you did-it has endless possibilities! High quality European butter is the key here. I always use unsalted for 2 reasons: Salt is a preservative, so unsalted butter is fresher, and I like to adjust my own seasonings. So here is what I did. 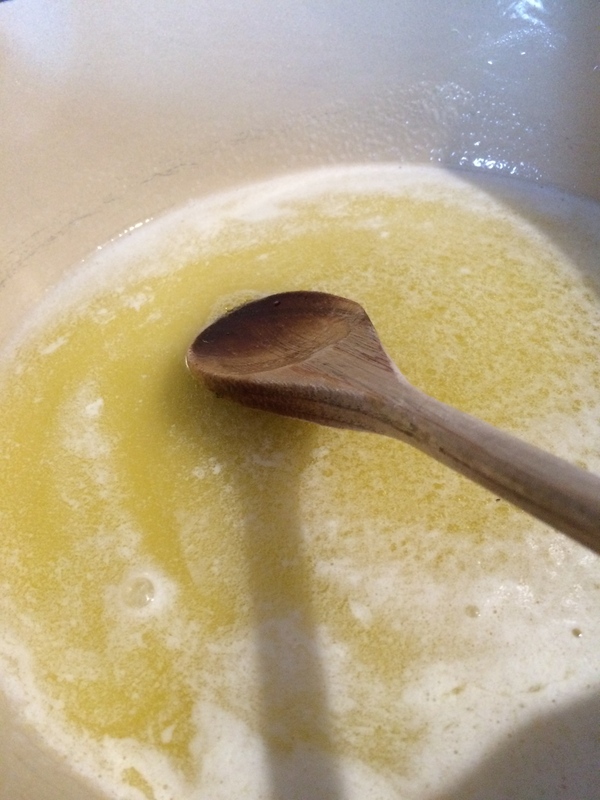 Into a heavy bottomed sauce pan, I started melting a half pound of lovely french butter on low heat. Soon the butter started to brown. I began removing the foam to clarify the sauce. The aroma that began filling the house was amazing. Warm, nutty, rich! My sauce continued to deepen. The flavors were concentrating. And the scents wafting around the house were incredible. I kept stirring. Do not walk away from this sauce, as it can burn quickly. Let it deepen slowly and keep your eye on it. But that is it. Simple. The real beauty in this sauce is the ability to adjust it to any taste. You can add garlic, herbs, salt, pepper, almost anything to customize it to your taste. Add it at any point while browning the sauce. How easy is that? Fabulous!! The first time I made the sauce, I drizzled it over wild mushroom ravioli and sprinkled it with some fresh parmesan cheese. Since I like acid, I also drizzled a balsamic reduction over the ravioli as well. A garnish of fresh basil perfected the balance. I added a salad and some crusty bread. It was a decadent dinner. I continue to use the brown butter sauce for a variety of finishes. What can you do with it? Send me an email and let me know!